When I first opened Aclepsa.com homepage on the web archives since the website is not online anymore, I thought that this was a physical drugstore offering its services on the internet. However, on checking the drugstore about page, I realized that the drugstore did not have a physical pharmacy. Aclepsa.com was operating as an international pharmacy referral service. Aclepsa.com main focus was to refer people to the licensed local pharmacies and suppliers who would then ship the medications ordered. Aclepsa.com had its base of operations in Mauritius. The pharmacy had an extensive catalog. All the meds available on the drugstore site had already received approval from the FDA. Some of the meds people sourced from Aclepsa.com include eye care meds, erectile dysfunction meds, weight loss drugs, skin care medications, hair care medications, drugs to help people who would like to quit smoking, birth control, and antibiotics. The drugstore focused on selling generic medications. To determine whether the pharmacy was offering affordable medications, I decided to check the price for the generic Cialis sold on the site. A pill of generic Cialis named Tadarise from Cipla would have cost me 1.83 dollars. This price is low when you compare it with what local stores sell ED medications. However, I have managed to locate online pharmacies which have much lower prices online for both erectile dysfunction and other meds. 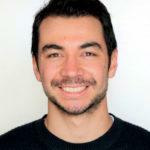 Aclepsa.com was accepting payment via two methods. These included credit card (the drugstore was only accepting VISA) and bitcoin. Personally, if I am shopping for meds in any online pharmacy, I would prefer paying using a credit card. This is the only way an online shopper can be sure that he can dispute any payments and get his or her money back. Aclepsa.com was shipping medications via two main methods. These are EMS and Registered Airmail. The pharmacy indicated that the Registered Airmail shipping method will take about 10 to 21 days for your meds to arrive. When you use the EMS shipping, medications would take 7 to 10 business days. Unlike other pharmacies which offer standard shipping rates which apply to all medications a buyer orders irrespective of the number of pills in them, Aclepsa.com had different shipping rates for a different number of pills. 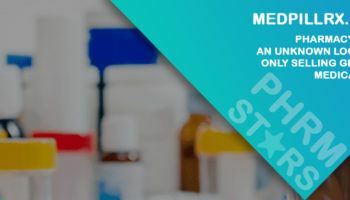 The lowest shipping cost for the Registered Airmail is $16.50 which is applicable for buyers who purchased 30 to 90 pills 1 bottle, tube or inhaler. 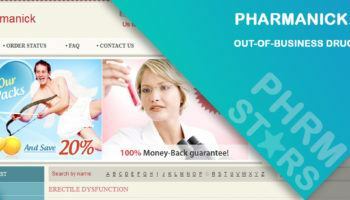 The highest price is 68 dollars which are paid by clients who purchase more than 360 pills. The lowest price for EMS is 35 dollars while the highest is 99 dollars. The number of pills which determine the highest and the lowest shipping cost for both Airmail and EMS are the same. Aclepsa.com was not accepting medication returns. However, the drugstore was offering to re-ship medications or offer a refund if the customer was not satisfied with what got delivered to him or her. To get a refund or reshipping, you had to contact the customer support department. The toll-free phone number you could have used to contact Aclepsa.com was 1 877 610 6337. The drugstore had a live chat option. However, I did not get to try it since the pharmacy website was already offline. The above reviewer says that the drugstore sent medications which were very close to expiring although she ordered the meds intending to use them for a longer period of time. She contacted the customer support department and informed them of the issue but they did not rectify it. They only indicated they would replace the meds when they expired. The above reviewer is happy. He had already ordered 6 times and his meds always arrived. The drugstore even sent a replacement for him when one got lost. Aclepsa.com is not online anymore. This means that it is possible it does not have 2018 testimonials. I used the second-best option available. I searched the drugstore domain on Scam Adviser which advised that Aclepsa.com was not trustworthy. If a buyer purchased for the second time, he or she would get either a 10% price reduction or 20% extra pills for free. If you reordered 2 to 3 times, you would have gotten a 15% discount or 25% extra pills. 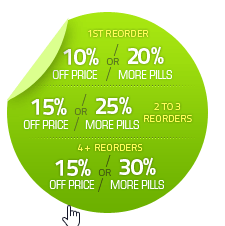 For people who ordered more than 4 times, they would get 15% price reduction or 30% bonus pills. Aclepsa.com is drugstore which offered fair prices although these are not the lowest prices buyers could have gotten online. The drugstore offered services which could be considered as being mediocre. This can be evidenced by the reviews available online. Most of their customers are unhappy. The drugstore had a fairly wide catalog. This made it easier for buyers to get their meds. The drugstore did accept credit cards.